I knew that I would try and breastfeed, but didn't expect it to be easy as I had heard tales of people who had tried and struggled, stopping breastfeeding before they had wanted to. 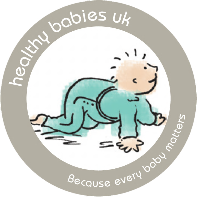 I did find it very hard feeding my eldest child for the first few weeks and received little support and encouragement so when someone told me that "It is ok to give him a bottle you know" instead of simply saying 'well done, keep going you're doing a great job' it made me determined to breastfeed for as long as he wanted. I have also read around the subject of extended nursing and the psychology of the mother and child. I have personal experience of this as I am breastfeeding my youngest, which baffles many people until I tell them he has never been ill or been to the doctors! Peer supporting is very rewarding. For me, it is lovely to see all the new mummies and babies at our groups making friends with each other, sometimes you just know they will be friends for life. It is also an ongoing educational process, we continue to learn at regular updates and conferences with inspirational guest speakers. We all enjoy seeing each other socially too, it is great to be around friends who share the same enthusiasm for healthy babies and supporting new parents.